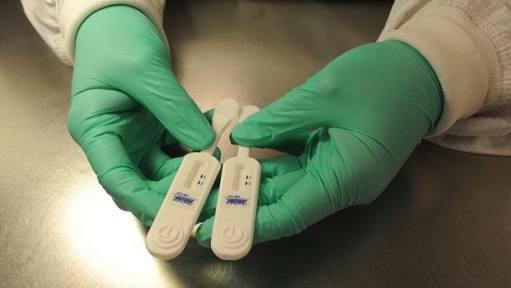 Scientists at the African Centre of Excellence for Genomics of Infectious Diseases of Redeemer’s University, Ede, Osun State, has developed and patented two rapid diagnosis test kits for the Ebola Virus Disease and Lassa Virus. According to the university, the kits are able to detect the virus in human body fluids in 10 minutes. The Vice Chancellor of the university, Prof. Debo Adeyewa, said this on Friday during the signing of a memorandum of understanding on infectious disease surveillance and control between the ACEGID and the Lagos State Government. Following the role of the university in the 2014 diagnosis and confirmation of the first index case of the EVD, Adeyewa said, the school had established a network of pathogens hunters in Nigeria and Africa in general by training scientists in the field of genomics. He added that the partnership was to strengthen the capacity of the Lagos State Government in infectious disease diagnostics and epidemics preparedness.